If you missed the Budget, we have a summary for you below. 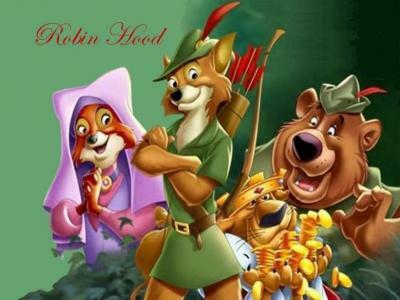 Some commentators have described it as The Robin Hood Budget - taking from the rich and giving to the poor. While there have been numerous changes we have focused on the personal tax and superannuation changes that may be relevant to you. We have attempted to keep this article brief, however this year there is quite a lot for us to cover. Importantly, please remember that we have outlined the general budget announcements and these do not take into account the full extent of your personal circumstances. When making any changes to your financial arrangements, we recommend you seek personal advice. The government had previously announced new tax rates which are to come into effect on 1 July 2012. There were no further changes announced as part of the budget. Higher income earners will see the reduced Private Health Insurance Rebate applied to premiums paid on and after 1 July 2012. There will also be the removal of the Flood and Cyclone Reconstruction levy after 30 June 2012. The resident individual income tax rates for the 2012/13 financial year are set out below. The main change from 2011/12 is the increase in the tax-free threshold from $6,000 to $18,200. The rates and amounts shown relate to resident adult individual taxpayers. These rates exclude the Medicare levy and surcharge, the Low Income Tax Offset and any other tax offset entitlements. From 1 July 2012, a rate of 32.5 per cent will apply to all taxable income of non-residents below $80,000. From 1 July 2015, the marginal rate will increase from 32.5 per cent to 33 per cent for all income below $80,000. There has been no comment on any changes to the tax rates on income above $80,000. The current tax rates are 37 per cent on taxable income between $80,000 and $180,000 and 45 per cent for taxable income exceeding $180,000. For the 2011/12 year, the Medicare levy low-income threshold will increase to $19,404 for individuals (from $18,839) and $32,743 (from $31,789) for families. The additional amount of threshold for each dependent child or student will also be increased to $3,007 (from $2,919). From 1 July 2012 the Medicare levy low-income threshold for pensioners below Age Pension age will also be increased to $30,451 (from $30,439). The Private Health Insurance Rebate and the Medicare levy surcharge will be income tested against three income tier thresholds. Depending on which income threshold you sit in will determine the amount of Private Health Insurance Rebate you will be eligible to receive and the level of Medicare Levy surcharge you will be liable to pay. The income thresholds that apply for the 2012/13 financial year are set out in the table below. In view of these changes, affected individuals should consider the financial effect of their private health insurance coverage. It may be possible to claim the full 30 per cent rebate currently available if a private health insurance premium for the 2012/13 year is prepaid before 1 July 2012. • $820 for each child in high school. Payment of the Bonus will occur upfront, twice a year, at the beginning of Term 1 and Term 3 of the school year. Eligibility for the new Schoolkids bonus is the same as for the existing Education Tax Refund. The Bonus will be available to families who receive the Family Tax Benefit (FTB) Part A, young people in school receiving Youth Allowance and some other families receiving income support and veterans’ payments. From 1 July 2012, for taxpayers with adjusted taxable income above the Medicare levy surcharge thresholds ($84,000 for singles and $168,000 for couples or families) the net medical expense claim threshold will be increased from $2,000 to $5,000 (indexed annually). The rate of reimbursement for eligible out of pocket expenses incurred will be reduced from twenty to ten per cent. Those with adjusted taxable income below the relevant threshold are unaffected. From 1 July 2012, the mature age worker tax offset will be phased out for taxpayers born on or after 1 July 1957. Access to the mature age worker tax offset will be maintained for taxpayers who are aged 55 years or older in 2011/12. From 1 July 2012, the Government will consolidate eight dependency tax offsets into a single, streamlined and non-refundable offset available to taxpayers who maintain a dependent who is unable to work due to disability or carer responsibilities. As the new consolidated offset will be based on the highest rate of the existing offsets being replaced, many eligible taxpayers will benefit from an increased entitlement. Taxpayers who are currently eligible to claim more than one offset amount in respect of multiple dependents who are genuinely unable to work will still be able to do so. From 1 July 2013 the Government will increase the maximum payment rate of FTB Part A by $300 per year for families with one child and $600 per year for families with two or more children. For families receiving the base rate of FTB Part A, the increase will be $100 per year for families with one child and $200 per year for families with two or more children. There have been a number of changes to superannuation. The Government has extended the pension drawdown relief that has been provided over the last 3 years. Minimum payment amounts for account-based, allocated and market linked pensions can continue to be reduced by 25% for 2012/2013. Despite criticism the Government has not provided relaxation or clarification of the excess contributions tax regime, which saw the Australian Taxation Office issue more than 45,000 excess contributions notices for the 2010 year and which can result in the absurd result of 93 per cent tax on contributions. From 1 July 2012, individuals whose income exceeds $300,000 will pay an additional tax of 15 per cent on concessional superannuation contributions. Income for this purpose will include taxable income, concessional superannuation contributions, adjusted fringe benefits, total net investment loss, target foreign income, tax-free Government pensions and benefits, less child support. The additional tax paid on a $25,000 contribution will be up to $3,750. Despite the additional tax, from a tax perspective superannuation remains an attractive investment vehicle for all taxpayers due to the tax concessions provided on contributions, the 15 per cent tax rate on investment earnings and the typically tax-free status of investment earnings and pension withdrawals in retirement (or transition to retirement). The Government previously announced an increase in the concessional contributions cap to $50,000 from 1 July 2012 for individuals aged 50 years and over and with an accumulated superannuation balance of less than $500,000. This has now been deferred to 1 July 2014. Concessional contribution limits will be as follows for the next two tax years. It is expected an indexation adjustment will be applied in the 2015 tax year. There were no changes to non-concessional contribution limits. From 1 July 2012, only that part of an affected Employment Termination Payment (ETP) which takes a person's total annual taxable income (including the ETP) up to $180,000 will be taxed at concessional rates. This means that for those employees with taxable income over $180,000, the amount of the ETP exceeding $180,000 will be taxed at top marginal tax rates. Currently, the first $165,000 ($175,000 for 2012/13) of an ETP is taxed at concessional rates being a maximum of 15 per cent for those over preservation age and 30 per cent for those under preservation age.